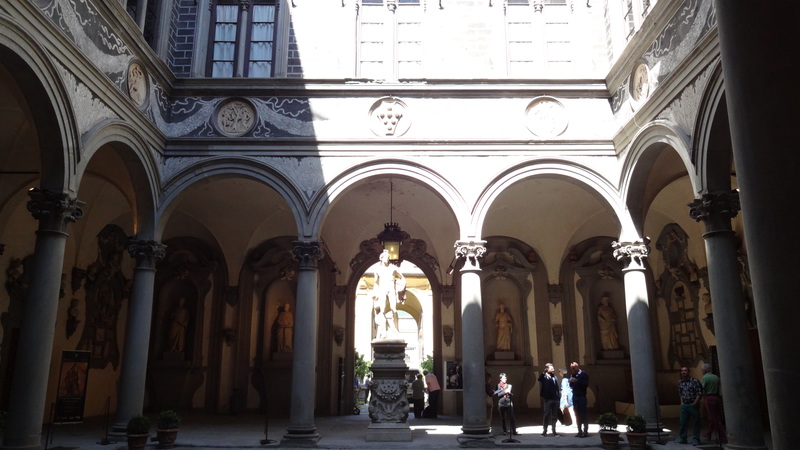 Properly known as the Palazzo Medici-Riccardi (after the family that built it and the family that owned it later and added to it, respectively) this is the palace where Simonetta attends parties and dinners given by the Medici family throughout the novel. 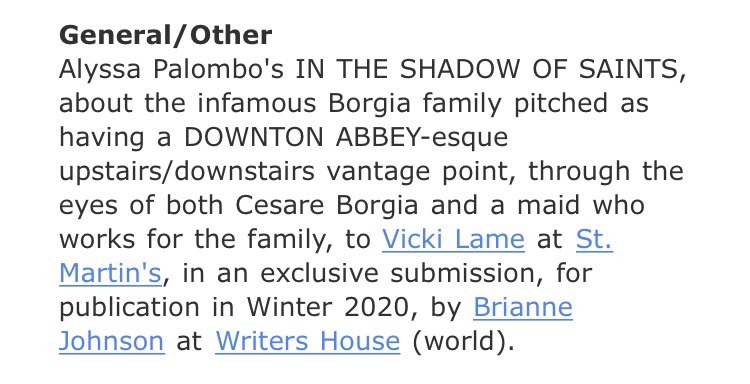 It is where she first meets Lorenzo, Clarice, and of course, Sandro Botticelli, and is also where her marriage takes place. The first Renaissance building in Florence, construction on the palace began in 1444 by Cosimo de’ Medici (Lorenzo the Magnificent’s grandfather) and was completed in 1460. 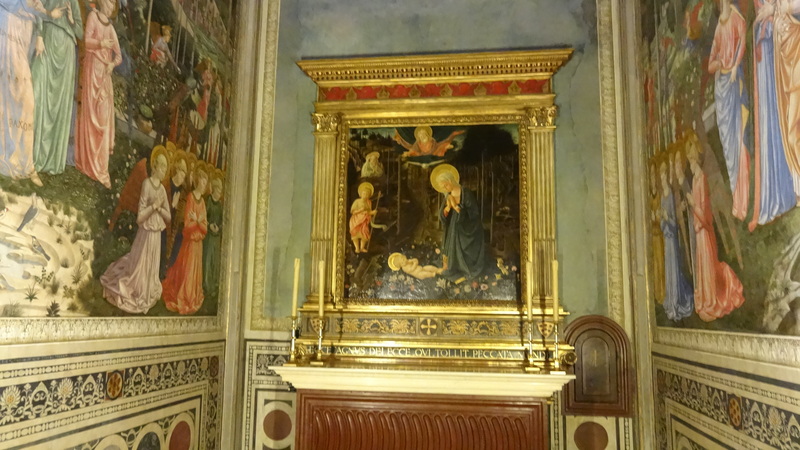 It’s located just down the street from the Duomo on the Via Cavour, though at the time the street was called the Via Larga. The intention of the building was likely to convey power, wealth, and strength, and no doubt the facade communicates that message very well. 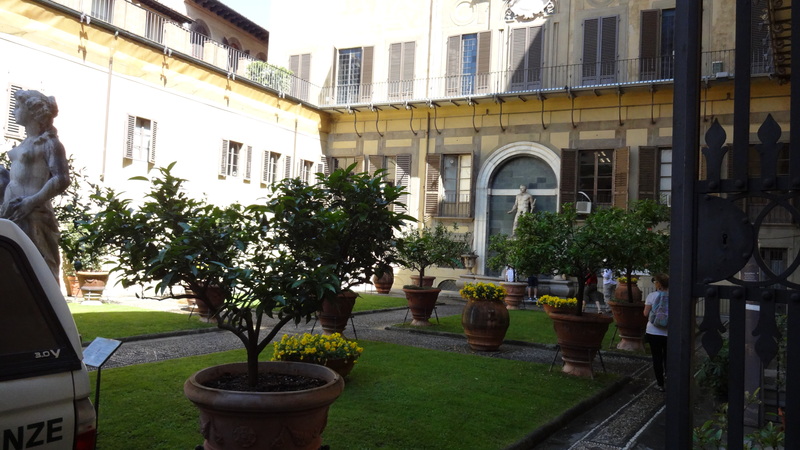 Above is the courtyard, where Donatello’s statue of David originally stood. It is one of the first things Simonetta sees in the novel upon entering, and it is her first glimpse of the beautiful artwork that the Medici family surround themselves with. Lorenzo’s office also originally stood off to the right of this courtyard. This is the garden of the palace, just past the courtyard. This is where Donatello’s statue of Judith originally stood, which Simonetta also views in the novel. 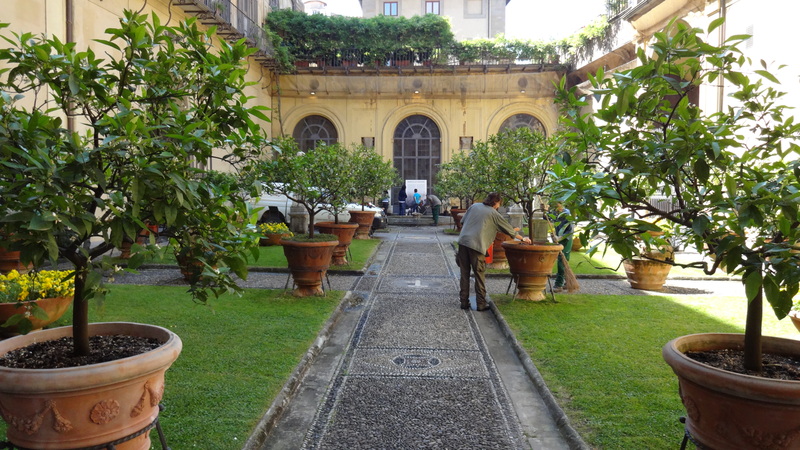 And this garden is the setting for the first dinner Simonetta attends at the palace, and where she meets the rest of the novel’s major players. 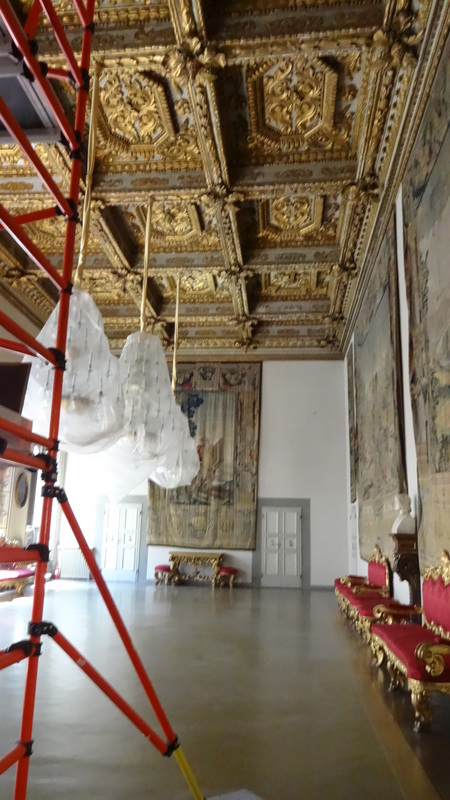 This room (which was undergoing some renovations while I was there) is from Lorenzo’s time (some of the rooms that are open to the public were added later). This is the room where I pictured the unveiling of Simonetta’s portrait taking place. 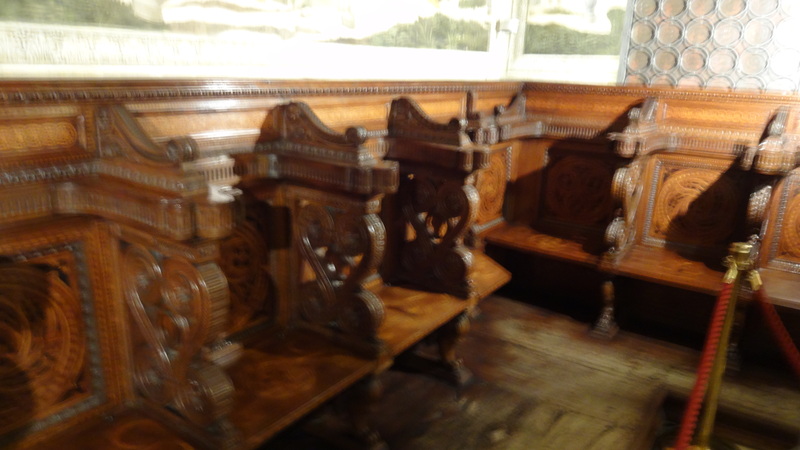 Above are some images of the (tiny) palace chapel, where Simonetta’s wedding service to Marco Vespucci takes place in the book. 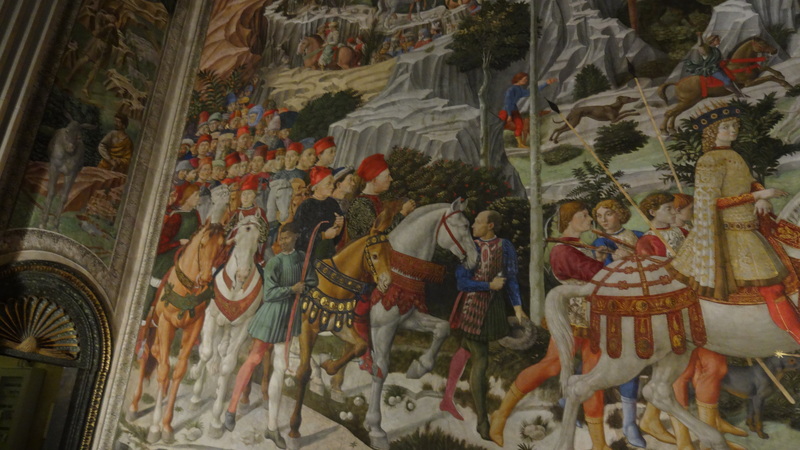 It’s a very small space on the second floor of the palace, but the frescoes are amazing. 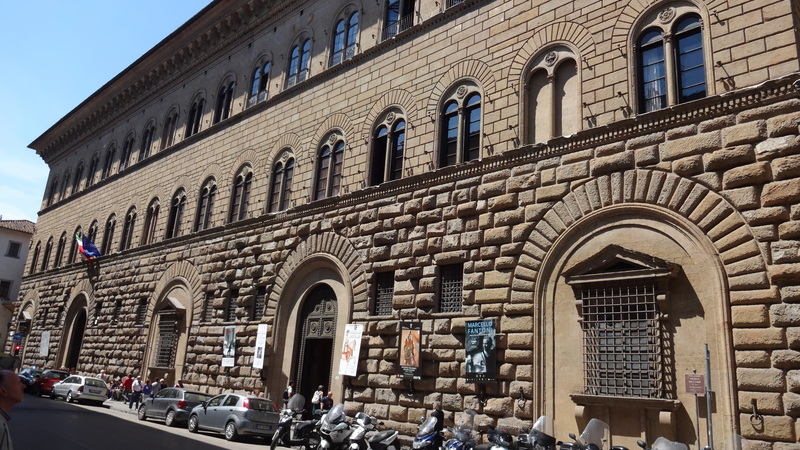 I was initially a bit disappointed when I visited that many of the rooms from Lorenzo’s time weren’t open to the public (parts of the building are in use as a municipal building) but I was able to take what I saw and make it work for the novel. 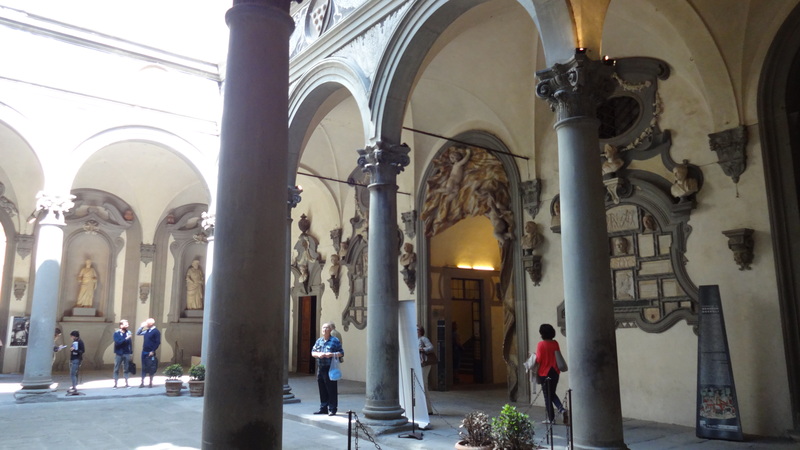 It’s a very cool building, and if you are ever in Florence I would encourage you not to miss it!